He passes by Hermes, who greets him with a warm hug and a firm pat on the back. “It’s my underworld bro, Ushijima! What are you doing here up in the clouds, huh? Must be some really important stuff since you hardly come up here. Anyway, check out these badass winged sandals Aone made for me! They’re like, the best thing in the world!” and asks him for a high five after which he hesitantly returns with lesser vigor, but returned nonetheless. Beside him, Hestia mutters a quiet apology for his companion’s behavior with a worn-out expression and silver half-moons under his eyes. He wonders if the others pity him too. Ushijima tilts his head to the side, eyes blinking. “... But I rule the underworld? Is that not what we decided?” he asked, the mockery lost on him as always. The dark god stares at him in disbelief. Somewhere beyond, the Moirai laugh at your sweet naivety, and continue spinning the thread of fate as Ushijima opens the earth and drags you down the underworld with him. Mother never warned me about the god below. When you’re forcefully dragged to the underworld, it is not the sight of anguished souls that pains you. It is the stench of decay. The kingdom fills your lungs with millenniums of funeral pyres and burnt flesh, the metallic tang of dried blood and ash lingers in your throat, on the back of your tongue like a disease that has no cure. Still, something heavier plagues this never ending inferno, something more heartbreaking. The burden of excruciating loneliness. You want to leave and never come back. “Were you not aware of my proposal?” he replies, feigning ignorance. “You took my child away from me!” Demeter screams, her voice raw and brimming with despair. who says you were wrong? 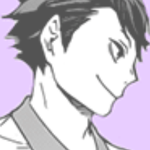 Ushijima simply nods and guides you near the river Styx. “Did you not want to become a goddess of the underworld?” he asks, confused. Hades bids you a safe journey after, and sends you home with his golden chariot. Bokuto takes the reins and the sound of the whip cracks against the empty, dark halls, flying out from the pitch black kingdom and into the open sky. “I think you’re made for the dark, though. It suits you,” the messenger god chimed beside you. come, won’t you play with me? “He forced me to consume the honey-sweet seeds—” A wail erupts from her mother’s throat. You’re picking flowers in the fields again, like the innocent girl you used to be. I no longer know who she is. Demeter continues mourning even in the lovely season of springtime. “What of your sister Ismene?” you ask suddenly, while Antigone drags a wooden chair and tiptoes on top of it. She ties the end of the fabric on the ceiling and hangs the snare around her soft, pale neck. Antigone smiles one last time, kicks the chair away from her, and falls to her death. this is for CuriousTeaCup's contest! to people who may be confused, here are the characters and their gods. Oh my goodness, this is lovely! I especially love Ch. 6 and the Latin phrases. Keep up the good work! your writing is wonderful ! ahhhhh i just read this and the descriptions fit so well altogether!! the greek god au was v interesting and you made it work!! it's always so nice to read your fics, love. Especially when the AU is intriguing af and the reader has such dynamic characteristics! I feel like I've been reborn and my batteries have been recharged ahhhh. Thank u for sharing ur talents darling!! I almost picked Hades and Persephone as well, but this is a MILLION times better than anything I had! This was absolutely gorgeous, from the dialogue, and character descriptions and transition! It could have gone on for ages and I would have enjoyed every minute!!! COMPLETELY deserving of first place, and I congratulate you! WOOOOAAAAHHHH. Freaking /nice/! This was so cool to read, and each character seemed to fit their role well. I was picking apart their personalities to compare to the traits of the gods/goddesses. I also loved Reader's personality. Harsh and lovely. also btw can i just say the r's personality is so great, she seems like such a sassy, dark person and yes. i love mysterious readers. Your descriptions here have a sense of duality, being very lush and flowery at times, but they can also linger and rot, too (in the best way, of course). There's something about how smoothly you narrate--how you give just enough for us to draw our own conclusions that drives me wild. You're fantastic with abrupt shifts in characters (whether it be with characters tones or attitudes, maybe even both), and that's an astounding skill to have, because most people can't pull off those shifts without them coming across as jarring. This piece in particular shows just how much you're able to nurture characters and their relationships with each other. At first, I was confused when the characters' names and their god names were used interchangeably, but that's likely just me and my exhausted eyes. Great job working with a god au and the large cast of characters that comes with it! I think you handled it beautifully! t-thank u my bird hoe! Kageyama rebelled against the heavens not because of power, hubris or any sin. It was not his time yet to ascend to a higher plane of existence, he argued to the gods, even if the promise of eternal paradise was waiting for him. Not when you were so full of grief, not when there was no peace in your heart—it was a tragedy he witnessed unwillingly from afar. He watched you mourn for him on his grave when the memorial had ended, in a black dress with white lilies in your petite hands. Even in his death, you were still so beautiful—almost painfully immaculate, like a china porcelain doll in an antique museum. Some say it's love while others believe it's recognition. There's something about your presence that puts a smile to his lips and a smudge of happiness in his worn out soul. You smell like spring every time you enter the classroom or pass by him. You are the epitome of blooming lilacs, ephemeral dreams and morning atmospheres. Your bones are made out of sticks that's used to build home and he's a man who's in need of shelter. You were everything he's not. "[name]." He calls in a slight whisper, his voice painted with mellow fear and concern. It was noon, the skies were grey and the whole world is in monotone. Everyone seems to be in low spirits but your countenance was still radiant. "Yeah?" You respond, covering your lips in an attempt to hide from your teacher. Bokuto places his arms on the desk and rests his head between them. He beams like the Sun. summary: kageyama and reader take a walk at night out. reader accidentally blurts out something. That was what you told him, anyway – apologetic smile and all, but he seemed all too flustered to take note of it. Ushijima says in an attempt to wake your sleeping figure up, standing at the side your bed. You lay cuddled up in the mountain of blankets, mumbling incoherent words and what he made out to be his name. The corner of his lips lifted slightly as he knelt on his knees, watching you sleep peacefully. He reaches to gently cup your face, watching you snuggle into his hand. He sighs inwardly, fighting with himself whether to wake you up or leave you to sleep, as tranquil as you looked. In the back of his mind, the thought of the pancakes he had made lying on the table getting cold nagged him, making him frown a little. He pokes your cheek, in another attempt to wake you up but obviously doesn't work. So he does it again. Oikawa Tooru didn't believe in love. Not in the traditional sense, anyway. He stopped believing in love right after his parents got divorced and his mother took his sister somewhere where he could only see her once every week. His father constantly had women hanging off his arms, their hot hands and dizzying breath curl around him, itching to peel off distracting layers of clothing. His father's mouth was always a straight line, moving like it's pulled by a string as it hitches to one side. Iwaizumi Hajime wasn’t very good with his feelings. It wasn’t like he was clueless or anything; a blind man could probably tell how in love Iwaizumi was with you. (It wasn’t hard to catch on, really. 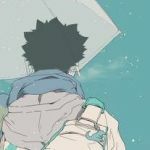 Iwaizuimi is an honest man–and his feelings were no different. Oikawa immediately knew after a few good observations, but he’s always been quite perceptive. Mattsun and Makki eventually caught up and teased him to hell and back.) But acting upon his feelings might as well be considered a mission impossible. While Iwaizumi was entirely aware of his romantic sentiments for you, he didn’t know what to do with them. He wasn’t even sure if he should do something about it. You always knew you were sort of... slow. Not mentally, no- you just had horrible timing when it came to lots of things. School work, chores, the like. Delays and procrastination runs deep in your personality, and it always had a tendency to take effect when you least desired it. Your luck may actually be the worst. It was a normal thing for those hazel-brown eyes to peer at you and ask for your help with a math problem, and you were always glad to help. You did like him, after all. He tapped you lightly on the shoulder and your body shook with excited nervousness even though this was a frequent occurrence. But you somehow continued without a rise in your pitch and walked him through the problem, and it ended with a deep 'oh' from Iwaizumi and the polite 'thank you'. Rain symbolises loneliness and weight of all the decisions made wrong. He reads out his answer to the teacher's question. The question - what do you think rain symbolises? - is written down on the blackboard in a handwriting that he finds hard to read, yet it's probably better than his. As the teacher nods, acknowledging his answer, he sits back down. He ignores the thumbs up that Oikawa gives him. Instead, he turns his gaze out the window. Another chair in the classroom is pulled back, but he barely pays any attention. People say there isn't any fixed answer when it comes to Literature, yet everyone gives similar ones. That's what he thought. So when he hears a voice, albeit shaky from nervousness, give an answer wholly new and different from the rest, he glances away from the window to look for its owner. That's the first time he notices you. Golden rays of early morning sunlight shine vivaciously through the silken drapery, the most perfect hue of yellows and whites. The serene sense of comfort and warmth it provides is enough to ease one's worries and replace them with blitheness. You'd been awake for quite some time, but the heavenly glow of the room provided you a jovial demeanor. Uncounted were the minutes that had passed watching the rise and fall of Ushiwaka's back, or the number of times your wedding band rotated on your finger. He was still sound asleep, lying on his front with his arms tucked beneath the pillow cradling his head. Each muscle seemed to flex with the intake of breath, the light complimented his tanned skin and olive nature of his locks. scenario: regular timeline in which the two of you are dating. Saying that you are an independent individual was an understatement. It's not that you hated getting help from others, but you preferred to do things by yourself as bothering people with your problems didn't seem necessary to you. School wasn't that much of a hard task for the most part; of course there were a few hard tests here and there, but all in all you got the hang of it. You managed to search of advice on the internet by looking up various articles explaining how your problems worked and how to get past them. So therefore, asking for help wasn't something you typically did. It was a blessing and a curse, really. call my name and sing me your 1990's songs. bring me back to where we once were, baby. Kuroo's feline-like eyes stared at the small form across his desk, not a word uttered since his surprised "Hello". The young female that had waddled into his office was familiar to him, though it had been quite some time since he'd seen her last, and Kuroo remembered thinking to himself that this toddler wasn't nearly as round. Her eyes were bigger --bluer, and there was a permanent grimace that suggested curiosity. He watched with restrained amusement her clumsily clambering into the chair across from him, only to continue the intense staring contest. Several times Kuroo contemplated speaking her name, questionably, or asking why her attention seemed to briely switch from his face to his clothes, or his unruly hair. For a moment, he felt the urge to defend himself against the little one's quiet, judgemental assault-- even more so when the girl let out a lengthy sigh. The male responded by clearing his throat, allowing his eyes to shift outside his office door. The crackling fire lit up the surrounding area with orange and crimson hues. It's smoldering heat acted as a barrier, preventing the crisp Autumn air from penetrating. It was almost overwhelming. The skin of your face felt as charred as the marshmallow on it's stick and dried your eyes to the point of tears. You struggled to find the perfect balance between temperatures. You lacked an overall opinion of camping, and the outdoors in general, but it was somewhat of a tradition for a selected number of clubs and classmates to attend. It was enjoyable, a mini-vacation from the monotony of daily life. Plus, the school's volleyball team was invited.